Could You Prevent Type 2 Diabetes by Going Vegan? Since 1996, the number of people diagnosed with diabetes has more than doubled. Diabetes is a condition which occurs when a person’s blood sugar levels are very high. Insulin, a hormone which is produced by the pancreas, controls the blood glucose level. If insufficient insulin is being produced by the pancreas, or the body’s cells develop insulin resistance so that they stop responding to the insulin in the blood, you may find it difficult to regulate your blood sugar levels. If the level of glucose in the blood becomes very high, serious health problems may develop. Type 2 diabetes can lead to a number of complications such as kidney disease, nerve damage, eye disease and cardiovascular problems. In acute cases, type 2 diabetes can lead to the development of life-threatening conditions. 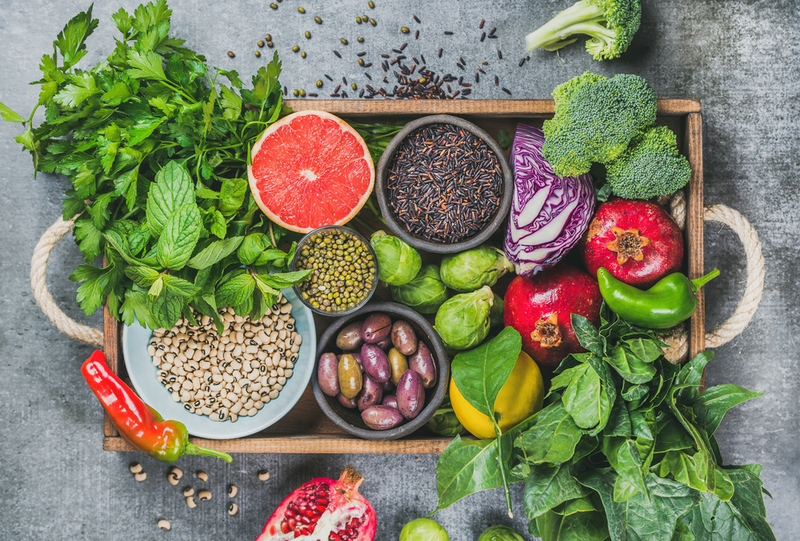 Research carried out by the Physicians Committee for Responsible Medicine has shown that a vegan diet may help to reduce the chance that you will develop type 2 diabetes. Being overweight is one of the major risk factors for type 2 diabetes. A randomised clinical trial found that overweight people who maintained a vegan diet for 16 weeks showed significant improvements in insulin sensitivity, and the functioning of their beta cells, when compared with the control group. Beta cells are found in the pancreas, and they are responsible for the production and release of insulin into the body. While further research will be needed to back up the findings of this trial, the outlook is promising for those who have received a diagnosis of type 2 diabetes, or those who are at risk of developing the condition. The Vegan Society defines veganism as a lifestyle which aims to avoid any form of exploitation of animals. For people who embrace the vegan lifestyle, this can involve not wearing clothes which are made using fibres or skin from animals, and not eating meat, fish or dairy foods which are made using meat or other animal products. In order to reduce your risk of diabetes, you do not need to follow every tenet of the vegan lifestyle. Instead, you can choose to follow a vegan diet. A vegan diet typically includes muesli, yoghurt, vegetables, fruit, nuts, pasta and rice. It is possible to eat healthily on a vegan diet, and most major supermarkets and many restaurants now cater for vegetarian or vegan customers. If you are concerned about your health, or if you would like further information about lifestyle changes you can make to reduce the chance that you will develop type 2 diabetes, you should book an appointment with your GP today. Your GP will be able to assess you before offering further advice and treatment.